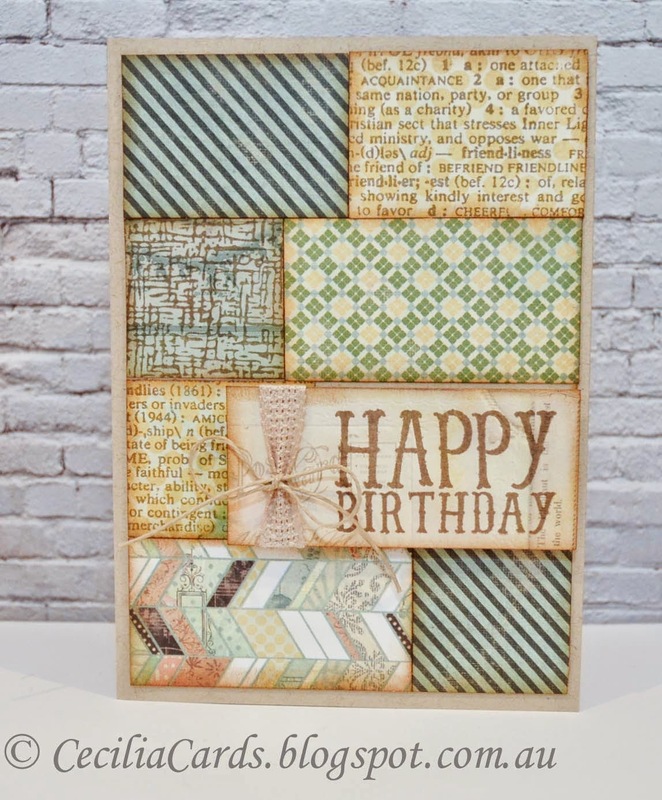 This card was made during our Craft Retreat a few months ago and I have not had a chance to blog it yet (along with a few more yet to be finished cards!). 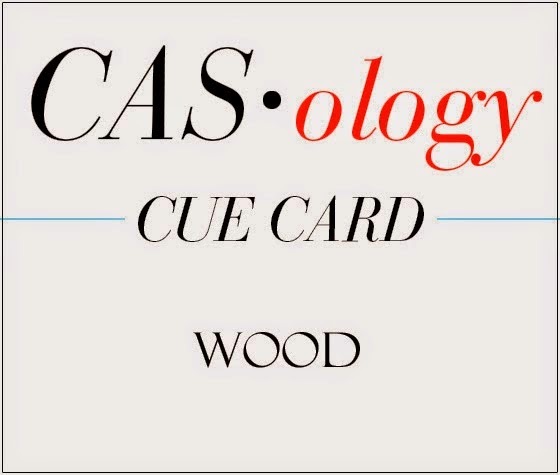 When I saw the Wood challenge on CASology, I knew this was the ONE! Just before I went on the Retreat, I purchased some Australian themed MT tape. 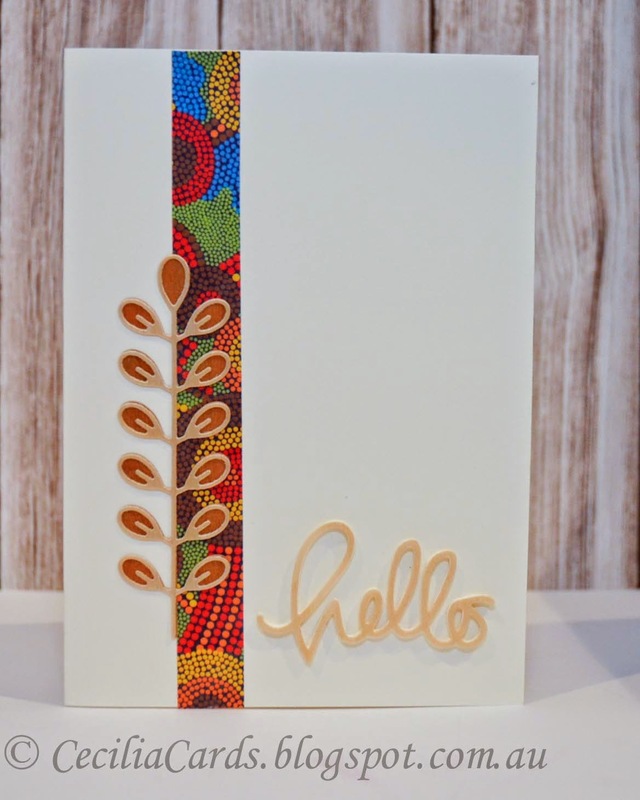 The one used here features an Aboriginal design and it was just what I needed to add some colour to the card. 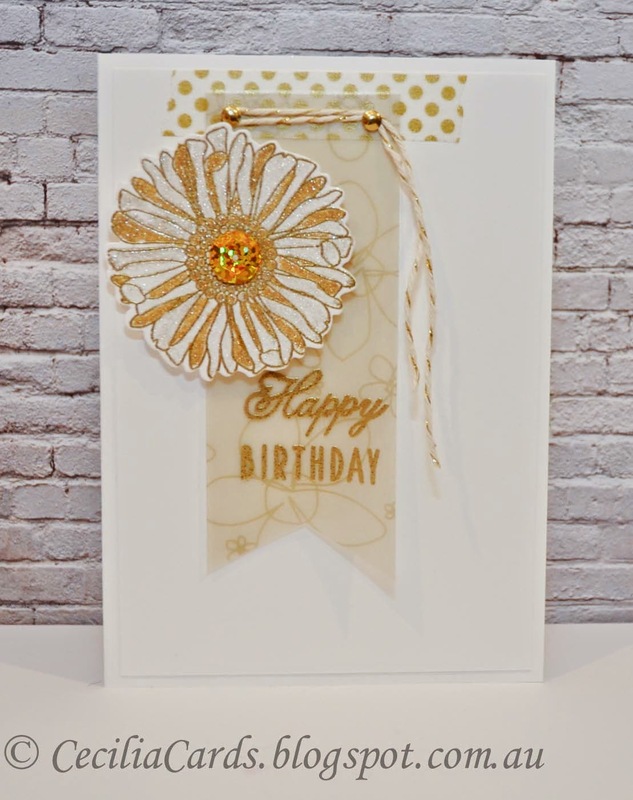 I must thank Joy Taylor for the use of her Simon Says Stamp Dies for this card and also for showing me how to glue multiple layers of die cuts. The sentiment has 5 layers of card stock under the wood veneer. 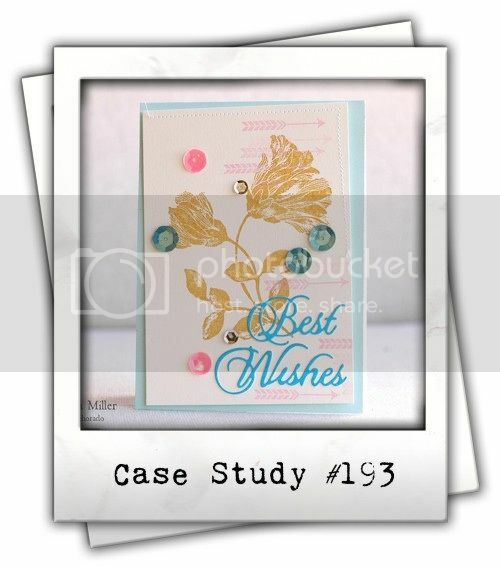 I'm also adding this card to SSS Wednesday Anything Goes Challenge. I'm also trying out the InLinkz thumbnails for the first time, any hints will be greatly appreciated. I've been wanting to try out the new Wink of Stella brushes for a while now and was about to place an order when I saw them reduced at a local Art and Craft shop. It's the first time I've noticed them there and the reduced price was the same as the US price (without the postage added). Bonus!! Here is my card based on the current Fusion/CAS(E) This sketch challenge. 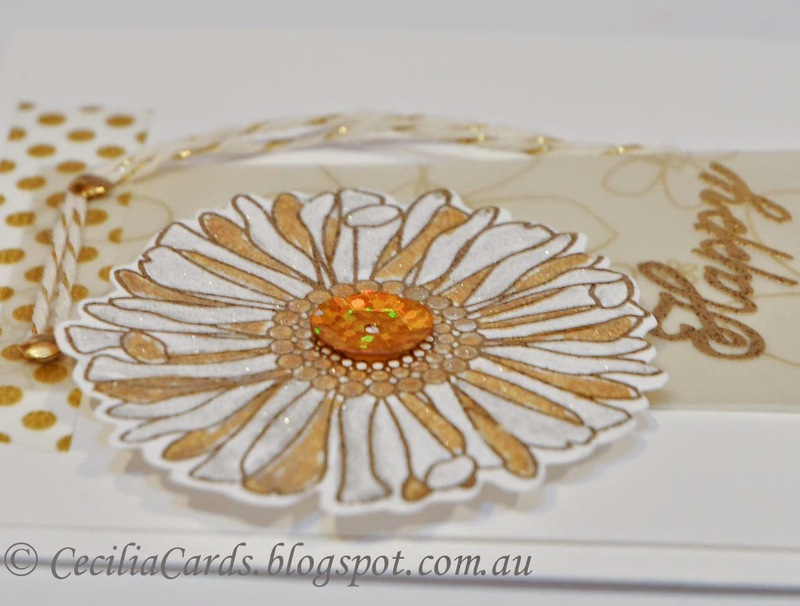 I've added Clear and Gold Wink of Stella to the flower. These brushes are going to be my new favourite tool from now!! 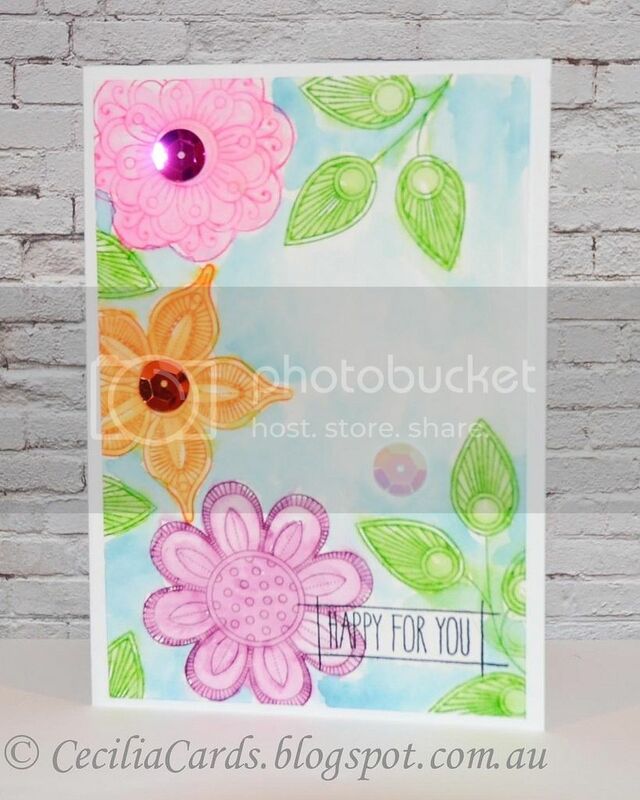 I'm also inspired by Danielle's Make it Monday - Vellum Overlays. Thanks for dropping by! Love the glimmer with the Wink of Stella brushes! It's been a while since I've made a card, I've been so busy with my new job that I'm just too tired when I get home at night. I just realised that I have a few cards that were rejects from publication submissions that were never blogged. Here is is one that I would like to all to CASology - Week 100 Celebrate challenge. Thanks for dropping by! I hope to get to my craft room this week, I have some lovely French wine labels just arrived in the mail from Jacqueline and I can't wait to make a card with them!! This is my first card I made since I got back from holidays yesterday! It's a quick one made with left-over scraps using the current Retro Sketch #119. 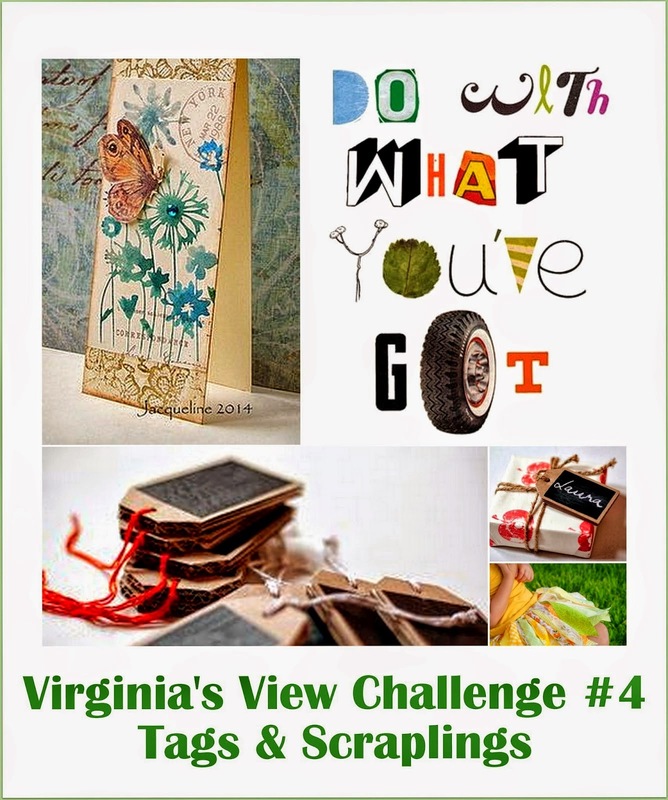 I'm also linking this up to Virginia's View Challenge - Tags and Scraplings and the Catered Crop Manly Man Recipe Swap challenge. I start my new job tomorrow, wish me luck!! This card won a Retro Sketches SHOUTout! I just got back from overseas and found out that my watercolour Blossoms card won a Catered Crop Garden Recipe Swap challenge! 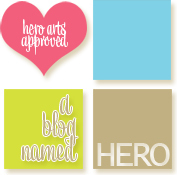 I was invited to participate in the next challenge as a guest designer (another first for me!) Here is my card for the Manly Man Recipe Swap. 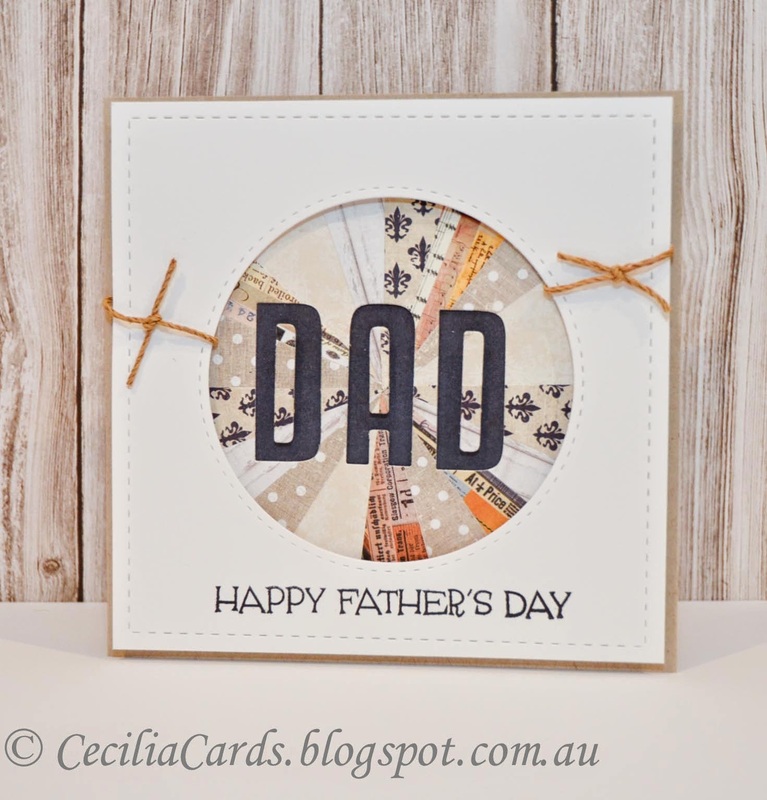 I'm also adding this card to Ribbon Carousel's RCC94-Dads, Grills and Summer Fun. Thanks for dropping by! 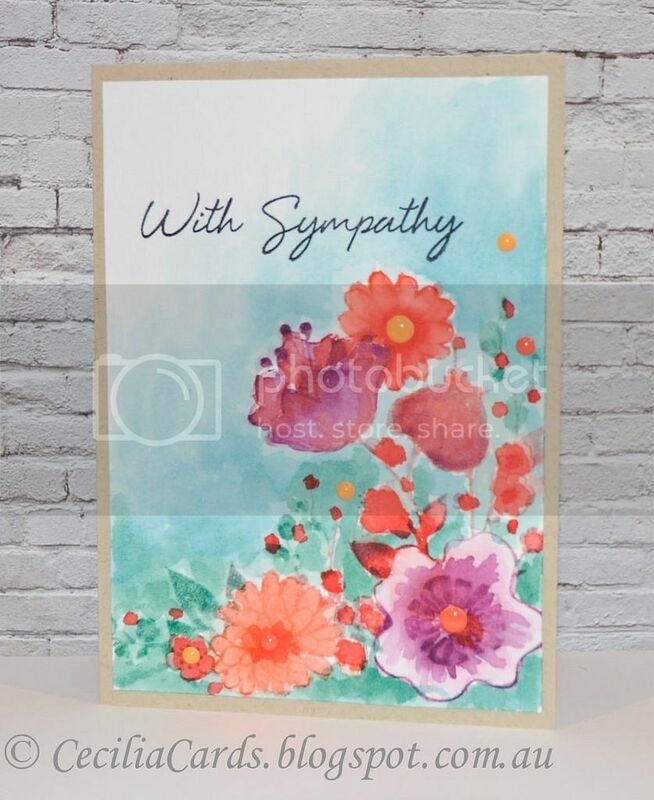 I decided to use the Hero Arts Floral Blossoms stamp to make a sympathy card. 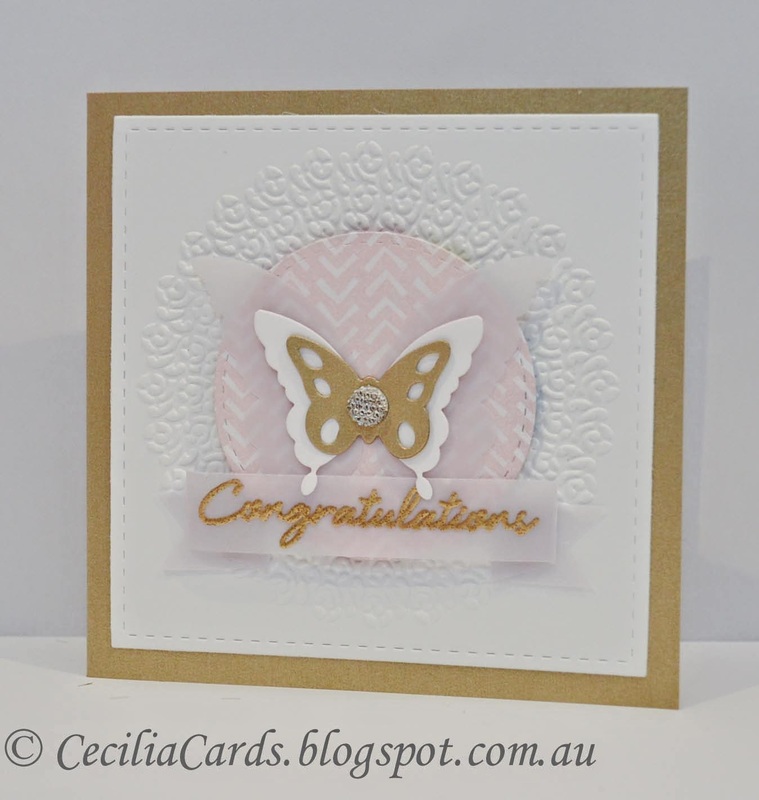 I have liked every card I've made with this stamp, just love the versatility of it! My favourite technique is using distress inks on watercolour paper. Even though I had enrolled in the recent Watercolour online class, I've been too busy to go through all the lessons! I'm hoping to catch up whilst I'm holidaying in Phuket. This stamp was inked up with various distress inks (the smaller ink pads would be handy for this), stamped and then brushed with a water brush. 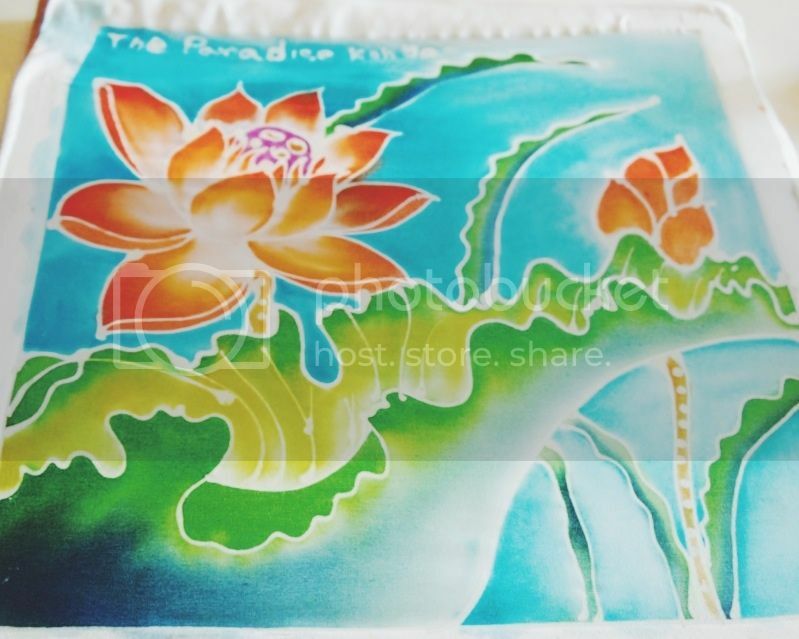 The background colour was added when the other stamped inks were dried. I've added a couple of photos of batik painting I've just completed today. It was a wet day today and the Batik artist was running an activity class. 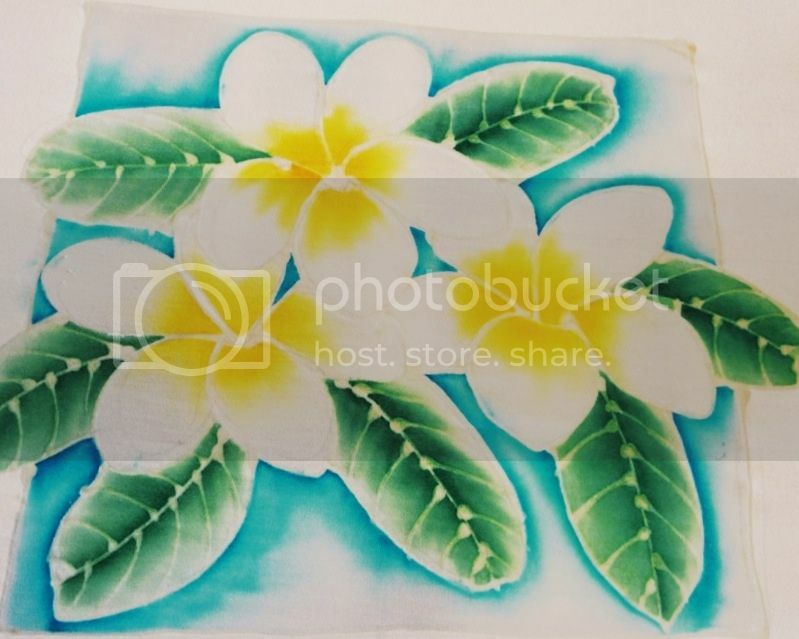 The techniques used are very similar to water colouring! Thanks for dropping by! This card started off with a certain focus, but ended up going a different direction. 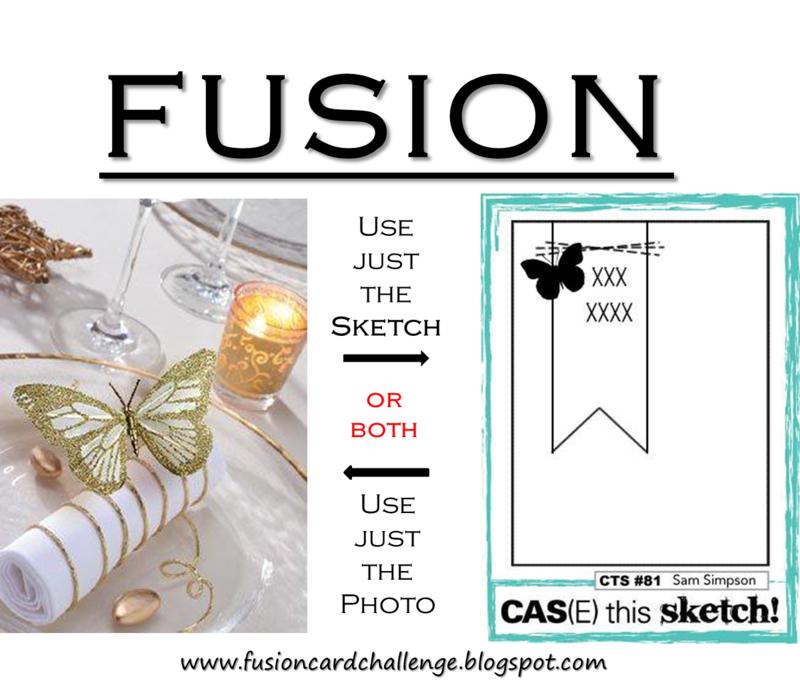 Sometimes we make cards for certain challenges but the stamps we choose dictate how the card ends up. I liked how this card turned out, hope you like it too. I'm adding this to Wida's last case for CASE study and Catered Crop - Garden Party. I'm posting this from a holiday resort on an island off Phuket! Thanks for dropping by!